Is a house a good investment? When is it? When isn't it? A very good investment. If you buy in the right area that is. There is never a good or bad time as if it is in the right area they are always climbing in price. Do research and see where the properties are climbing the most. The best advice I ever got was rather buy a shack in a great area than a palace in a bad area. This is so true as you will always make money in the better area. The first house I bought was in a boom area with the market climbing. I sold and doubled my investment in 5 years and moved into an up and coming area that was part of the expanding boom area. Before you know it you are sitting pretty and has been my best investment ever. Always buy what you can afford but don't be scared to buy something that need s a bit of work. This way whatever you put in you get back plus more. A house is good investment only if it's in the right place. A growing urban area with good long-term growth prospects is a good place to buy a house if the prices aren't too high already.. A sufficiently large urban area with universities and other research facilities is capable of hosting a thriving tech sector and is not too dependent on one industry or a small number of corporations. A house in an area with poor prospects for growth is a terrible investment. The riskiest of all is a one-factory or a one-mine town. Prices can be quite high when business is booming but totally collapse when it's not. Another way to look at it is too consider buying a house not an investment at all but consumption. If you don't have to move frequently, then buying rather than renting one is a good idea. Assuming that the rental market is in balance as in lacking oversupply, when you rent, the capital is amortized by you. You are also the one who ultimately pays the capital gains taxes on the rental income. In contrast, home owners get to deduct some of their costs such as interest from their taxable income in many countries. The transaction costs involved in buying a house do not amount to much when spread over a long time. But if you have to move frequently enough, living in a rental makes better economic sense even if it's costlier than staying in one place and being a home owner. Real estate is always a good business because it is difficult to devalue and on the contrary its price is always rising, however the point to take into account when buying a house is the urbanism and the level of development of the area where you decide to buy, and remember that most real estate denote their value by the degree of opportunity. The best is to guarantee investment opportunities in areas where there is growth in urbanism, ie where there are new buildings, different access routes, commercial businesses, etc..
And the worst moment is perhaps when it is too late, that is when everyone is buying or when the area is already stuck and can not develop more because this can cause house prices to soar absurdly or that on the other hand property values begin to fall abruptly. It can be the best investment of your life or the biggest money pit ever. Also you have to take into account the area it is in. In my city there are parts of town that have huge mansions but the area is full of crime so you can pick them up for $40,000 but then in nice parts of town you can barely get a house the size of a shed for less than $300,000 . Invest not only in the house but what is around it also. A house is a good investment with some conditions attached to it. The most important thing to consider is what is the future value of the land on which the house is standing. A house can loose its value if it not properly maintained from time to time. But land do not really need maintenance. Generally in most cases, due to urbanization and human expansion, houses always appreciate in value. Buying a house is mostly a good investment. If you have the means to buy a house, it should definitely be considered as a good investment option. There are great answers already, so I won't add anything to them. However, I will try to tell you about one case; actually, a very specific case. Let's check some photos about Turkey. So, I think what these graphs show is clear, but I can say it one more time out loud. Turkey faces an economic crisis. 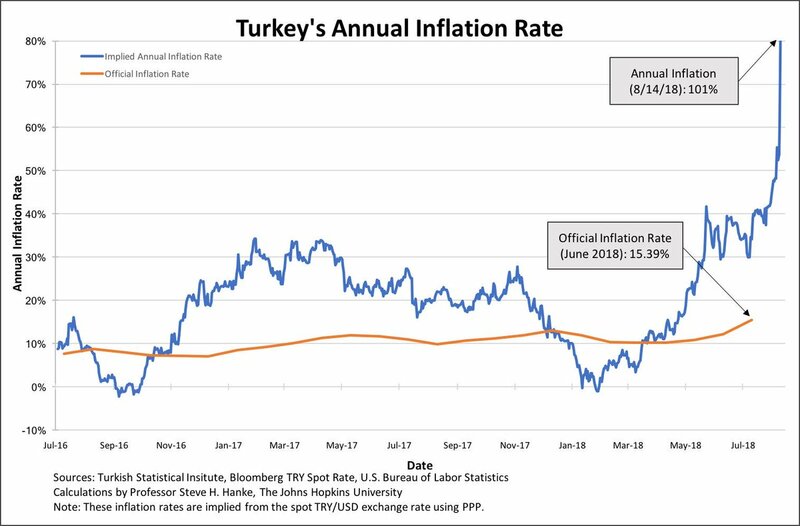 The inflation is unbelievably high, the debt is increasing every day, and Turkish currency (lira) loses value. What happens to the houses? Well, their value in terms of lira increases, that is true. However, if this situation goes like this, people will not have the money to buy anything; I don't mean houses or cars, I mean food. So, it is very much possible that you will have your house, but you struggle as well because nobody has the money to buy or rent the house you have invested your money in. In the long run, even in this case, I think a house is a good investment. When things will be normal again, you will be happy about your choice. However, it is important to analyse the situation, and decide accordingly when it comes to investments. When you check the second graph, you would possibly realize that people who bought euros (or dollars for that matter) could double their capital in a couple years, whereas the value of houses didn't go up that high (I couldn't find a graph that shows the house prices, but I have a house in a quite good area in Istanbul, and the increase in its value is not even as close to the rise of dollar). Long story short, houses are most of the time good investments. I just wanted to introduce an exception which might offer you an answer to the third part of the question. Any Steemian here love Metal? What is your favorite band and genre?Do you think one day someone would reach reputation 1000?What truly makes you happy and matters in ways people just don't understand? ?If there was a viral outbreak that caused people to start turning into zombies, what is the first thing you do?Have you ever felt like leaving Steemit? If yes, why?Which X-Men superpowers would you want?Are "white lies" justifiable?Why in my steemit wallet its showing my accounts estimated value is more than 13 million ? Do you know someone who has HIV? Do you think that person should be avoided?If The Markets Fluctuate Wildly. Why Invest Then?